The idea behind the information that has been posted about me on this page is to assure you that I have and will continue to dedicate myself 100% to setting health, fitness & athletic goals through the Martial Arts for our family at the Cutting Edge Brazilian Jiu-Jitsu Academy. When you become part of our family my staff, students and I are here to help you happily succeed in setting and accomplishing these goals. Looking forward to serving you! Professor Josef Manuel’s extraordinary journey in martial arts spans over 20 years. He was first introduced into martial arts through the study of Boxing. It was through his rigorous Boxing training that his questions arose about what to do in a fight when your opponent attempted a clinch or a takedown. It was watching the first edition of the Ultimate Fighting Championship that Josef was privileged to see the art of Brazilian Jiu-Jitsu in action. In 2001, Professor Josef Manuel was introduced to Professor Mario Lemos a student of Master Rickson and Royler of the famed Gracie family who began to form and train him to become a champion. On his quest to learn from the best, in 2005 Professor Josef Manuel was introduced to 7x Brazilian Jiu-Jitsu World Champion and A Master Robson " Robinho" Moura from the world renowned Nova Uniao Academy in Brazil. Since then Professor Josef Manuel has trained, studied and traveled with Master Robson as an instructor and competition team representative. On February 14, 2009, after years of studying, rigorous training and countless battles in competition, Professor Josef Manuel attained the coveted rank of Black Belt in Brazilian Jiu-Jitsu under 7x World Champion Master Robson Moura and is Master Robson “Robinho” Moura’s first American Black Belt World Champion & RMNU association representative. On April 24, 2010 He received a certificate from Nova Uniao founders ( Andre Pedeneiras - Wendell Alexander ) officially making Professor Josef Manuel a Black Belt representative of the prestigious Nova Uniao Jiu-Jitsu Academy. Josef is a RMNU Competitor and a Choke Laboratory sponsored ahtlete. Unlike many who have achieved the rank of Black Belt, Professor Josef Manuel still continues to actively compete at the top tournaments and continue to improve his Brazilian Jiu-Jitsu with the support of his Instructer Robson Moura. In addition, Professor Josef Manuel is a Certified Referee under the International Brazilian Jiu-Jitsu Federation and Abu Dhabi Combat Club, which are the most prestigious Brazilian Jiu-Jitsu/No-Gi organizations in the world. On March 19, 2009, Professor Josef Manuel had the honor of training soldiers from the United States Army where he was awarded a Certificate of Achievement in Army Combative Level 1. Jan 25, 2010 He was awarded Certificate of Achievement in Army Combative Level 2. Professor Josef Manuel will continue to train our armed forces and attain the highest level of Combative Training. 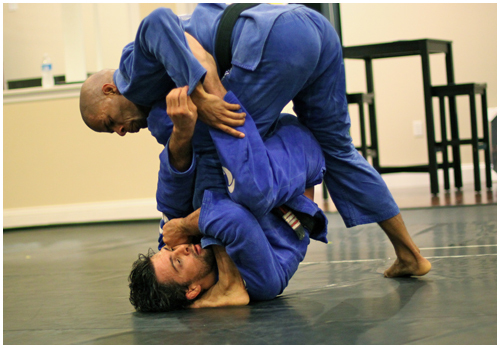 Professor Josef Manuel’s expertise in the art of Brazilian Jiu-Jitsu has been recognized throughout the law enforcement community and he now has the pleasure of training Federal Agents and Local Law Enforcement Officials. On his own, Professor Josef Manuel is an accomplished Black Belt in Brazilian Jiu-Jitsu who has competed and won numerous Gi and No-Gi tournaments including the New Jersey, New York and Pennsylvania State Championships, Grapplers Quest, Ultimate Grappling Challenge and North American Grapplers Association, the ADCC Trials , New York Open, European, Pan American and World Championships of Brazilian Jiu-Jitsu. He has also won the coveted Open Weight Class Title, an outstanding mark of a true master who exemplifies the true essence of Brazilian Jiu-Jitsu.